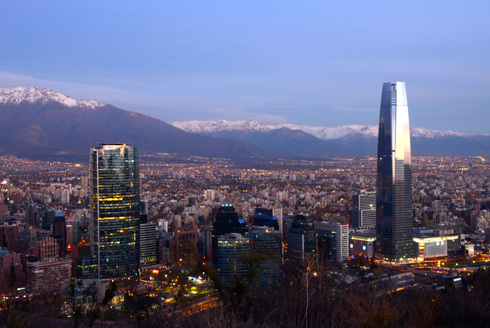 The city of Santiago de Chile (see Santiago guide) with its population of 5 million, presents itself as a large and rambling city. But when you take a closer look you will find that the tourist attractions, the main universities and companies' headquarters are concentrated in a rather small area. This area comprises the old center (Santiago Centro) and the districts of Providencia, Las Condes and Vitacura. The last two areas are often called Barrio Alto, not only because of its higher location towards the mountains but also because the well-off Chileans prefer to live here. 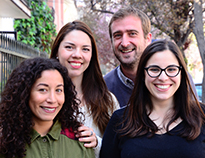 For this "club" of important Santiago districts we also have to consider the media class residential areas of Ñuñoa and La Reina. Chile's major port city presents itself as a big amphitheater: Dozens of hills covered with lively painted houses arise around the bay and the port. An intrincated network of winding streets covers the "plain" in front of the port and the hills, while large stairs and 100 year-old elevators climb up to the last corners. The buildings have mainly quite some years, but there are some modern apartment buildings, too. 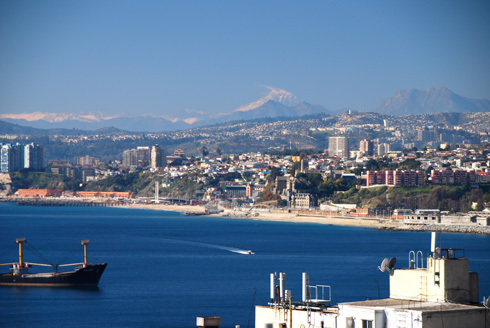 Viña del Mar, Valparaiso's sister city with which it shares the large Pacific bay, is the vainer of both sisters. 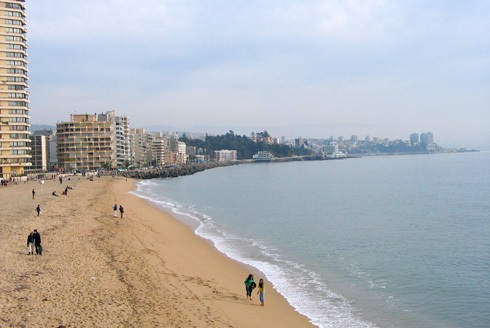 With its public gardens, palaces and parks, with its beaches and hotels it is the Chileans' preferred sea resort in summer. Therefore, there is a large variety of furnished apartments with and without ocean view which multiply their prices during high season (january - february).